One of the great forgotten trekking routes of Nepal, the strenuous two-week march straight to the basecamp of the world’s fifth-highest mountain, the daunting Mt Makalu (8,463m) will delight those who revel in tranquil mountain trails, a sense of being off the beaten path and, most importantly, awesome mountain views. The route zig-zags up and down along the Arun and Barun valleys taking in isolated villages, forests hung in mosses and orchids, high yak pastures and, finally, the rock and ice wastes around the basecamp area. The reward is some of the most inspiring mountain vistas in Nepal. A combination of logistical problems, the difficulty of the trekking and the lack of side routes and connecting trails means that only a few hardy groups come out this way. Most leave with the smug smile of people who’ve just experienced the magic of an older, more dramatic corner of Nepal. This is definitely a trek for the discerning walker. The name Makalu is derived from the Sanskrit, Maha Kala, which is a name for the Hindu God Shiva. When you stand at basecamp and stare up at Makalu you could feel as if you’re in the presence of the gods. As with other treks in the far east of Nepal, the villages and trails of the Makalu region are a mish-mash of peoples, cultures and religions. In the higher villages live the Buddhist Sherpas, originally from eastern Tibet, while the Rai people, many of whom still follow the ancient Kiranti religion, live at lower levels. Whatever their background the welcome is always a warm one. Makalu forms the heart of the Makalu-Barun National Park, a super diverse 2,330sq-km protected area with an 8,000m vertical spread of elevation which ranges from tropical river valleys to the frozen summits of some of the world’s biggest mountains. Not surprisingly, there’s a huge diversity of life here, including some 3,100 (and growing) species of flowering plants (including over 40 species of orchids and 25 rhododendrons). There’s also the full spectrum of wildlife, from snow leopards to red pandas; black bears to sunbirds. Almost all of the (very few) people who trek Makalu take a simple up and down route along the same path. For those with plenty of time and stamina, and who are very well-equipped with a full, experienced expedition-style support team, there are wildly exciting treks to Kanchenjunga or even Everest. There’s only one standard route to Makalu Base Camp and it’s a simple there and back along the same trail. But this is a real wilderness trek and there are only permanent villages for the first and last couple of days. Most of the time the only other people you’ll meet are herders with their yaks. One of the highlights of this trek is camping in gorgeous spring flower meadows well away from other people and waking to soaring mountain views. Once you clear the villages the route climbs steeply through forests, crosses the high and often snowy Shipton Pass (4,127m; named after Eric Shipton who followed this route with Sir Edmund Hillary during the 1952 Everest reconnaissance expedition) and then goes along the Barun Valley past rapids and waterfalls. Eventually, after crossing scree fields and landslide debris, the valley opens out and you arrive at base camp. The view at base camp will send shivers of wonder down your spine, but climb up to the nearby ridge on Peak 3 for even more stunning Makalu views as well as side views of Lhotse, Lhotse Sar and Everest. You’ll probably be the only person up there. Difficulty: Difficult. Lots of steep up and down and the fast elevation gain means the risk of altitude sickness is high. Accommodation: Camping; very basic herders’ tea houses. 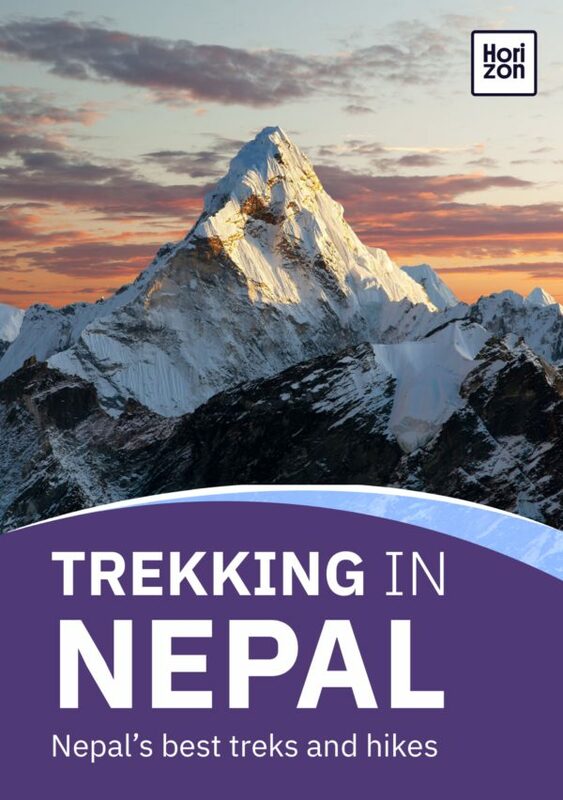 One of the most challenging treks in this book is the Makalu to Everest traverse via the very high passes of Sherpani (6,135m), West Col (6,143m), Baruntse Base Camp (5,700m) and Amphu Laptsa (5,850m) before descending into the Everest region at Pangboche. You should allow a minimum of three weeks for this trek and a lot more if you want to explore the Everest region in depth. You will need full expedition equipment, an experienced team, mountaineering experience and be prepared for many nights camping above 4,500m. Difficulty: Very strenuous. Borderline mountaineering. Accommodation: Camping; very basic herders’ tea houses, trekking lodges. In recent years a few daring groups have launched expedition-style treks that link Makalu with Kanchenjunga via the 5,160m Sumba Lumba pass. It takes almost four weeks and a lot of determination, but for most people it’s a slightly more realistic proposition than the Makalu to Everest trek mentioned above. Like that trek though you need to approach it as a full expedition and have experience at high altitude and basic mountaineering skills. TIMS Permit, Makalu-Barun National Park permit. If you do the connecting routes to Everest or Kanchenjunga you will need the national park permits for those areas. Best between October to mid-November and March to April. Between late November and late February the air is clear and trekking is possible, but it’s very cold at high altitude and all accommodation beyond the last villages will probably be closed. Makalu to Everest or Kanchenjunga is likely to be impossible between late November and late February due to snowbound passes. By and large people walk Makalu Base Camp as part of an organised, camping-only trek. However, almost all villages along the route have very simple accommodation (normally a room in a private house). Beyond the last villages there are very few basic teahouses with dorm-style rooms, but these close during the colder months. In all cases accommodation is aimed more at porters and herders than trekkers. Don’t rely on finding a bed for the night; for now at least, it’s sensible to come on an organised camping trek. Bring porters from Kathmandu as there aren’t many available near trailheads. The trailhead is from the village of Num and the nearest major town is Tumlingtar. There are flights from here to Kathmandu and sometimes Biratnagar. Rare jeeps run from Tumlingtar to Num. You might have to charter transport. Allow a full 24 hours to travel to the trailhead from Kathmandu using a combination of plane and bus/private vehicle.